This is a big year for Stirling, with the Bannockburn Heritage Centre and Wallace Monument re-opening after refurbishment, Pipefest, Homecoming, Bloody Scotland and Paranormal Scotland - not to mention the Stirling GhostWalk's own 25th Anniversary - and we will enjoy the company of many more visitors than usual, staying in Stirling during this summer's Commonwealth Games, Edinburgh International Festival and Ryder Cup. We have many fine restaurants, cafes, shopping centres and sites of historical interest to keep you all busy...too many, in fact, to detail all of them on these pages. 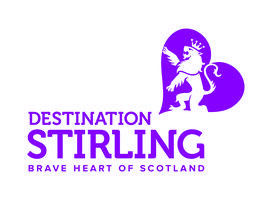 Full details of events, eateries and activities to suit all tastes can be provided by Destination Stirling. With offices in the Stirling Old Town Jail, Destination Stirling non-profit body established in 2014, run on behalf of the local tourism industry and for the benefit of all who plan to visit the beautiful and historic area in and around Stirling, Strathallan & The Campsies...flying the flag for the Royal Burgh. UPDATE: In January 2015 Destination Stirling asked the Stirling GhostWalk's own Happy Hangman, actor and writer David Kinnaird, to pen a series of short articles dealing with a wide array of historical and cultural topics - profiling some of the Burgh's most remarkable characters and locations. Under the 'Stirling Sentinel' banner, these are now available to visitors to the DS website - with extra tales and curious facts to be added via Facebook and Twitter. See below for details.